Auto-scrubbing is a big job, but you don't need to worry anymore. Pro Service Cleaning, LLC has top-of-the-line commercial auto-scrubbing equipment, cleaning products, and experienced staff to work on any floor in your business. We are known throughout South Florida for our professional cleaning work. 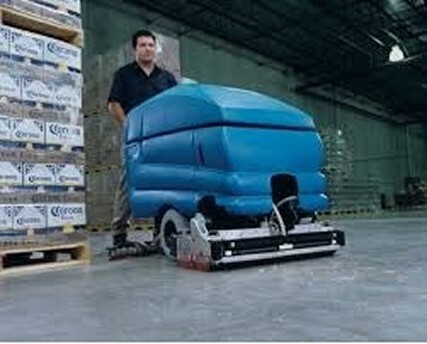 We can clean the most delicate of floors to fully degreasing an industrial warehouse floor! 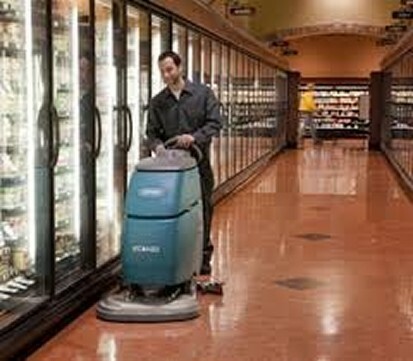 Healthcare facilities auto-scrubbing, and more! We know that machines can get in the way of your daily business functions. That's why, whether it is a warehouse floor auto scrubbing job, or a healthcare facility cleaning job, we can work with you to figure out the best cleaning schedule for you. Our staff works during the day, evening, and night to provide flexible scheduling options. We can also provide services on a daily, weekly, or monthly basis, depending on your needs. We provide contract options for specific cleaning projects. Pro Service Cleaning LLC, has competitive rates and friendly staff. If you have any questions about our services, our customer service can tell you more about what we offer and how it all works. We really want to work with you to make sure you are happy with our cleaning service business. Not only do we provide quality auto-scrubbing services, but we also offer other floor care options, window washing, trash removal, restroom cleaning, room cleaning, and more. We are a full-service janitorial service company, and we are trained to give you the best cleaning care possible. If you are in need of auto-scrubbing or any of our other services, please give us a call today. Clients from cities like Ft Lauderdale, Palm Beach, Pompano Beach, and other locations will tell you that we are the best. We know how to make your business and floor shine. You will not be disappointed! Pro Service Cleaning LLC, is Miami Residential/Commercial Cleaning company. Our main offerings include: Janitorial Services, Floor Waxing, Carpet Cleaning, Marble Polishing, Window Washing, Office Cleaning Services, Tile and Grout Cleaning, and Janitorial Building Maintenance.